The many rivers of the Murray-Darling Basin have long been in crisis as irrigators have increasingly sought to extract more and more water from the system. The downstream effects of large-scale irrigation have devastated the lower reaches of the rivers, leading to dry lake beds, stagnant ponds and at times, the closing of the Murray Mouth and the degradation of the Coorong. In 2010, Ngarrindjeri Songman and Elder Major ‘Moogy’ Sumner led the Tal-Kin-Jeri Dancers on a journey of cultural healing from the headwaters of the Barwon River in northern NSW to the Murray Mouth. Flooding rains followed the group down as they performed ceremonies to heal the rivers and dance the spirit of the land. The following year, Moogy was invited by the Northern Basin Indigenous Nations (NBAN) to start the Ringbalin ceremony at Murra Murra in southern Queensland. Since then, alliances have been formed with NBAN, the Murray Lower Darling Rivers Indigenous Nations (MLDRIN) and the Murray Darling Basin Authority to promote the well-being of the river and to encourage more Indigenous participation in the process of restoring this great river system to health. A major component of the cultural sharing among the various language groups is the sharing of and capture of songs and stories in language by the Ringbalin documentary makers. These short videos will be shared with the community and used as educational resources. In 2019 Tal-Kin-Jeri has been invited by the Ngaran Ngaran elders to commence Ringbalin in the high country of the Snowy Mountains at the very source of the mighty Murray River. 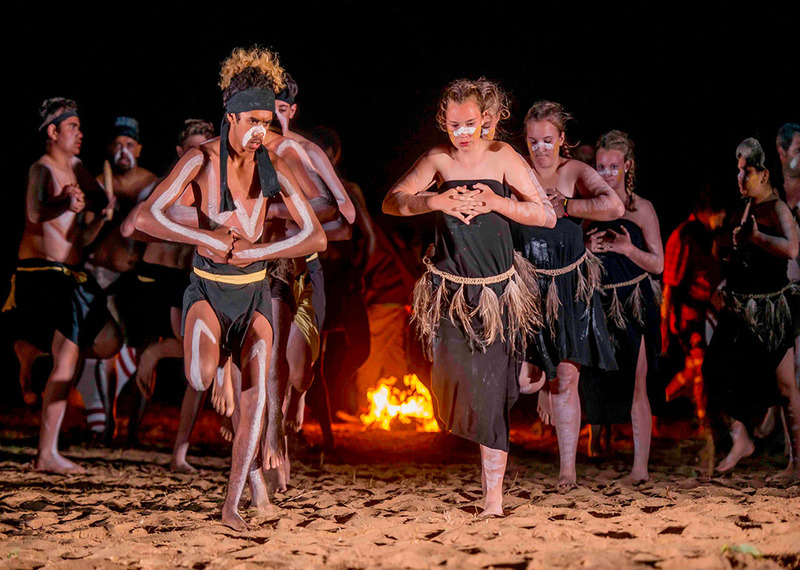 The Tal-Kin-Jeri Dancers will travel from the source to the sea and dance in places like Albury/Wodonga, Echuca, Wood Wood near Swan Hill, Mildura, Wentworth, Renmark, Murray Bridge and Wellington before finishing off in Goolwa and then to the Murray Mouth.